I just made this post over at the Intellectual Competence and Death Penalty blog and am repeating it here for interested readers. It has been along time since I've been able to devote time to any of my three professional blogs. I have been unbelievably busy with travel and professional presentations. 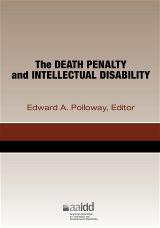 In fact, I have been so busy that I failed to feature two of my own recent Atkin's death penalty related book chapters that appeared in the new AAIDD book "Determining Intellectual Disability in the courts: Focus on capital cases." I have made these two chapters available via the MindHub web portal but do not believe I featured them at this blog (or at IQ's Corner). One chapter deals with assessment of intellectual functioning issues and the other IQ test norm obsolescence (aka., the Flynn Effect). The references (with links) are below. McGrew, K. (2015a). Intellectual functioning. In Polloway, E. (Ed. ), Determining Intellectual Disability in the courts: Focus on capital cases (pp. 85-111). Washington, DC: American Association on Intellectual and Developmental Disabilities.